The quality of the fish was excellent. Service was good. We enjoyed our meal. The service was quite slow which was ok, however it did take us about 20 minutes to recieve our drinks after placing our original order with 2 different people. We also found one bone in our Sashimi order. However, the fish was very good. Excellent food!! Take the Chef's menu😊. I did find the table arrangement a bit cramped. The food was delicious! I definitely recommend it. However, I was a bit disappointed with the seating. I made a reservation for 3 persons and we were seating at the bar which is not the best to discuss. Nothing to rave about, the rolls were at best ordinary. The service was good, they made an error in one roll, and when I made the remark they made sure to bring another one to my specifications. 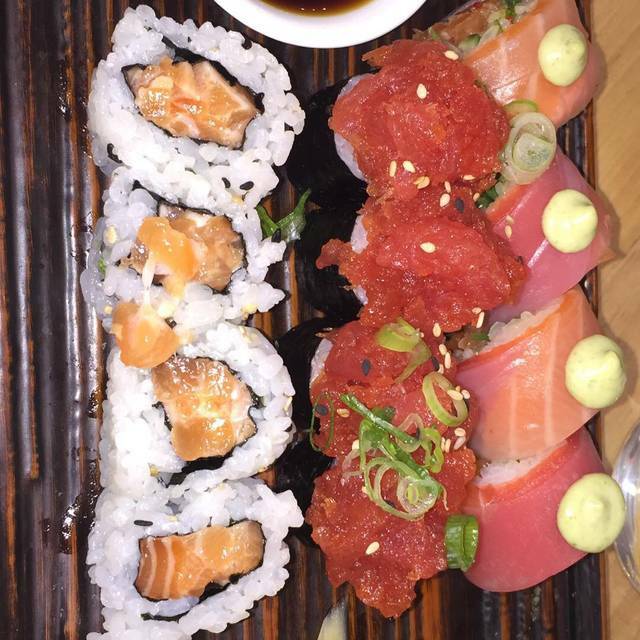 Everything was amazing, especially the Kamikase roll and the Paradise Roll. Great sushi. Good selection of fish. Small little place, really... You can only sit side-by-side, so its a bit weird, really small table. Weird format but they make it work. 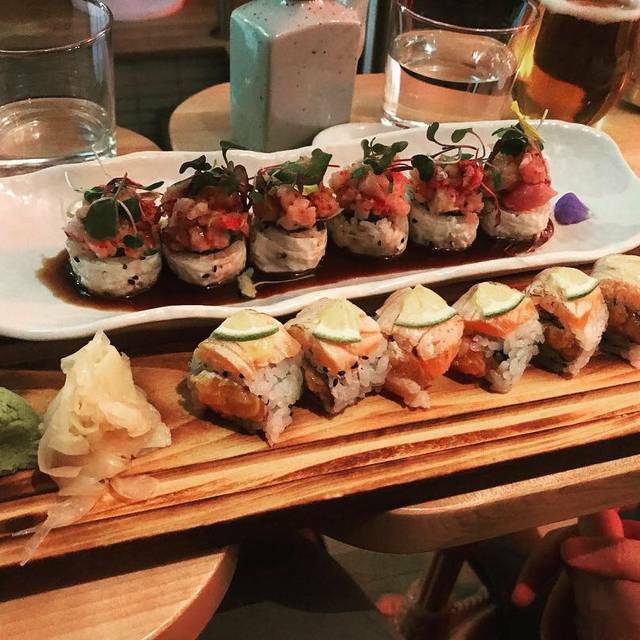 The sushi's are good, and some innovation in them. 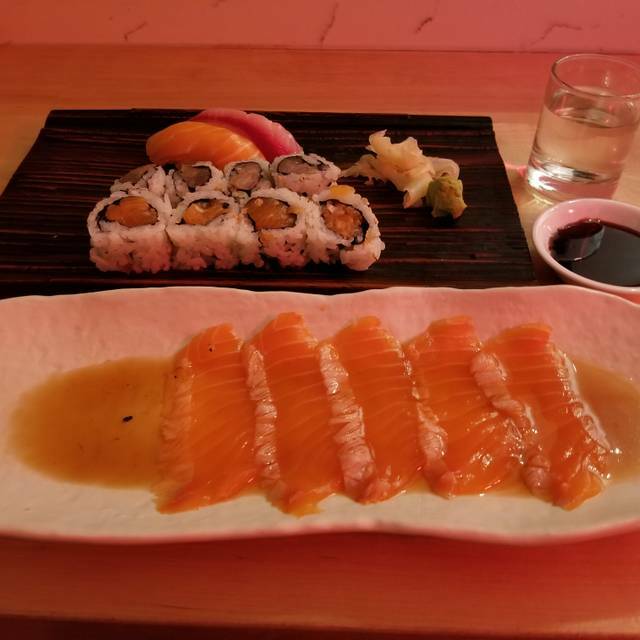 The salmon appetizer is really Worth it, simple but really good. Ambience was great and the service was excellent. The washroom was located far away from the actual restaurant but this didn’t take away from the overall experience. The food was very good, fresh and paired excellently with the white wine (Pinot Grigio). Would recommend for a intimate dinner with a friend (singular as the seating arrangements are best for this) or on a date. Best sushi I have ever had. We went there for my 19th birthday, and being Americans my friends and I had never really ordered wines at a fancy restaurant, and our waiter was so nice about helping us pick something good out (we tried Sake and it was wonderful) and he helped us pick our food. Everything we got was incredible! Service was fast, but the quality was truly wonderful as well. When we got a to go box, he put it in the box in a lovely presentation as well. So glad I went, and I will definitely be back next time I am in Montreal! 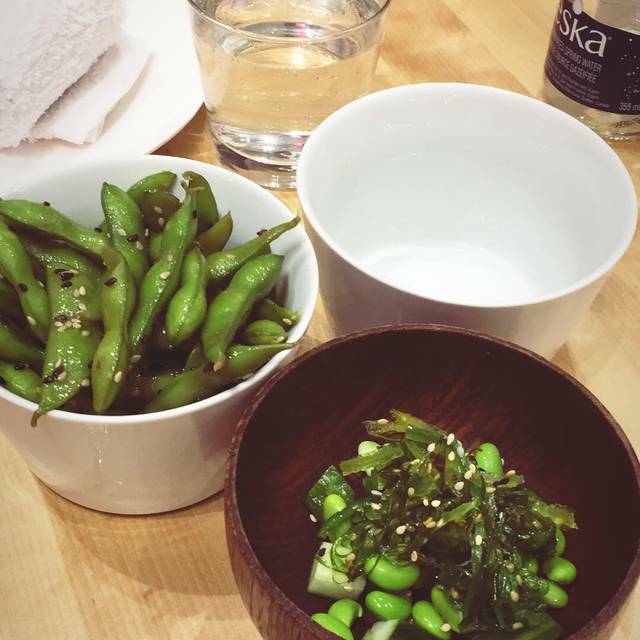 The picture I am uploading doesn’t have all of the fish we received in our dish, because we were so excited to try it we only remembered to take a picture after trying, haha. 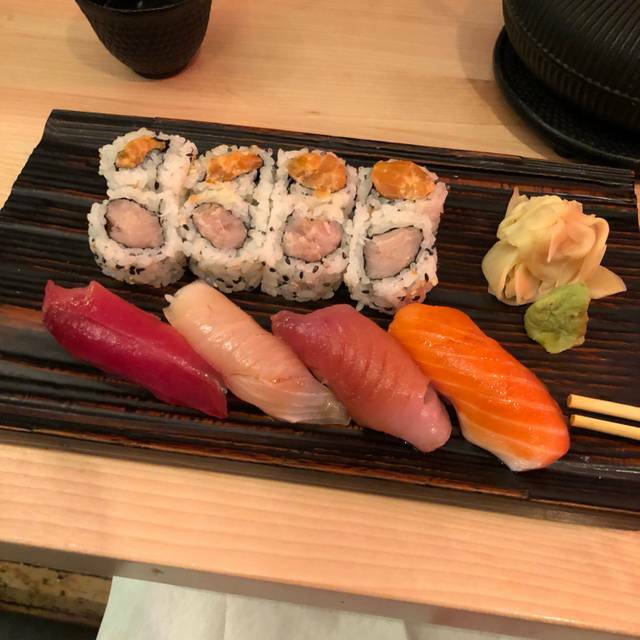 A little on the pricy side but the quality and taste of the sushi are amongst the best I have had (including in Japan). Well worth the visit. Belle découverte! J’ai réservé à la dernière minute et j’avoue avoir été agréablement surprise. 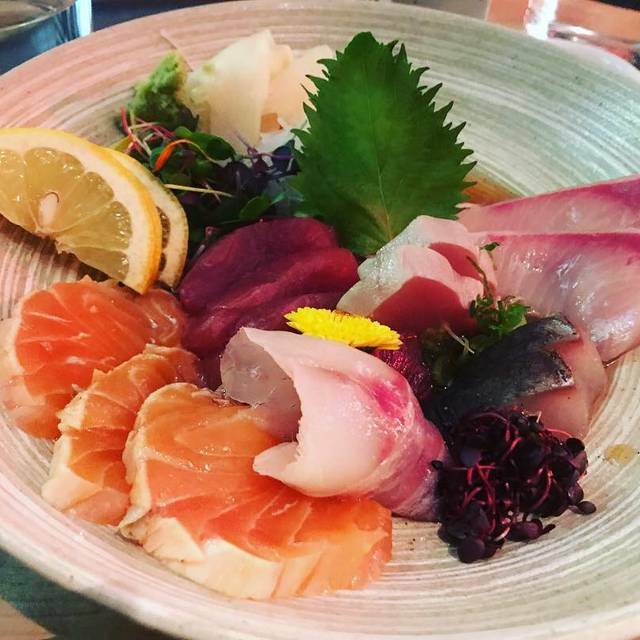 La nourriture était magnifique et de voir le chef directement faire nos sushis était très inspirant. De minuscules tables qui permettent de se coller et d’être en intimité. Un service attentif et le vin était bien agencé sur suggestion. I was impressed with this restaurant on my first visit a few weeks ago. The chef and staff managed to exceed my expectations on my second visit today. The restaurant manages to stimulate every sense! What an incredible achievement! Just fresh!! Very good sushi. Nice ambience in a quiet restaurant. Food was fresh and service was very good. Had wished that there would have been sake available by the glass. Very hip setting - happening bar scene. Good place for a first date or quick bite with friends before a night out. Did sense that staff tried too hard to upsell though - minor flaw. 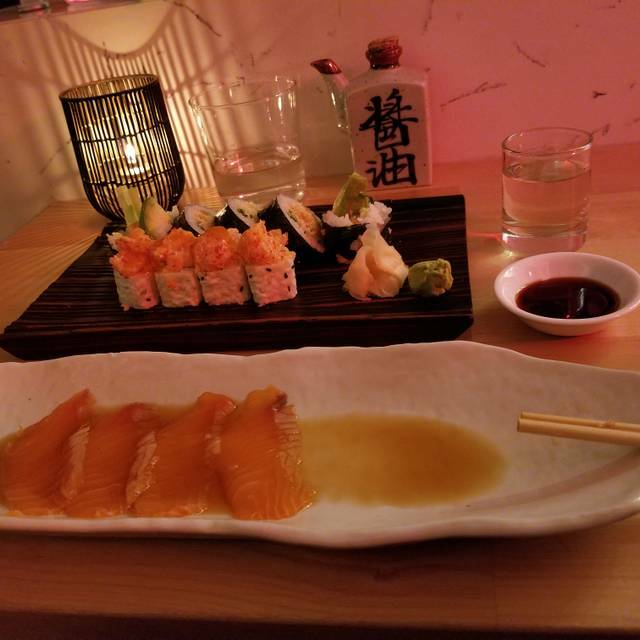 My sister-in-law and I dropped by the Ryu for a light healthy late night sushi dinner. 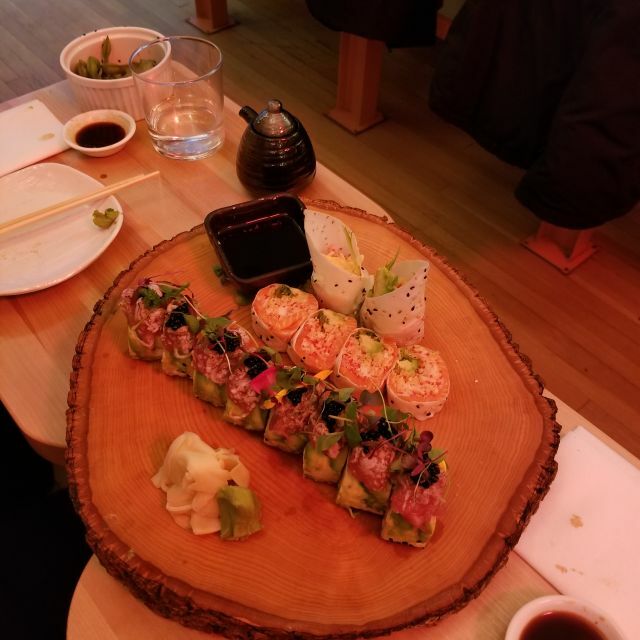 Service and food was fine, although the cozy space only has spaces for a few side-by-side tiny tables against one wall with bench seating, across from a few side-by-side bar stools at the sushi bar. We enjoyed our stay and will be back. Fantastic food. Very small facility, limiting seating options (best for solo or two people). Friendly staff. Great location. Fantastic service and excellent food. Small, New York feel. Staff was professional, helpful, courteous, knowledgeable and especially charming. The food proved colourful, savoury and very well presented. The price/value ratio is fantastic. Take out containers and contents are gorgeous. You can’t go wrong. Thank you for a lovely experience. I will certainly be back and I highly recommend you go, too. Bon appétit! We could not get reservation at Lov and picked Ryu based on OpenTable recommendation and proximity to our hotel. Right from the star it looked fishy as there was no one there at 6pm on Friday ! Again ... neighbouring restaurant with similar ratings was fully booked at this time! Waiter appeared surprised to see us and he did not seem to know about OpenTable- they never processed our reservation. We sat at the counter while ‘kids’ on the staff seemed to be interested horseplay than prepping our food. Eventually dropping a dish on the floor. We sat there waiting and listening to them clean while exchanging their girlfriend stories. Food eventually arrived- we had two types of rolls which tasted identical ! It was mayo soaked rice with minced fish like substance- that’s all. This was literally like cheap all you can eat type of sushi. We also had sashimi which was submerged in some sauce so I don’t remember the taste of the fish. Small place but food is absolutely amazing. Freshest sushis I've had! My husband and I often come here for lunch or dinner. We like to order the special omakase when we have dinner and the mix of flavours and textures in the makis is always good! Their tuna poke is also a favourite for a simple lunch. Awesome spot - funky atmosphere, helpful staff, and great attention to detail. Looking forward to my next visit to Montreal and Ryu! Very small location, so good for parties of 2, for a quick bite. Menu is small and simple. It’s a great spot but a lot more expensive than I was hoping based on the $ price point. One of the best "REAL" sushis we've eaten in a long time. Veuillez, svp, ouvrir une session pour enregistrer vos commentaires et suggestions. Merci! Signalez ce commentaire comme étant inapproprié? Si vous pensez que ce commentaire devrait être supprimé du site d’OpenTable, veuillez, svp, nous le faire savoir et nous prendrons les actions requises.